A neon-lit Korean barbecue joint in the heart of the CBD. 'Meat, eat, repeat' hangs on the wall in neon, and it's a phrase that rings true at Chop Shop, a Korean barbecue eatery in the heart of the CBD. Here, you have the fun of being able to cook your meat at the table, too. First up, you need to choose between a set featuring either pork, beer or wagyu — or a combo — then add on extra cuts of meat if you wish. Then, if you're still feeling peckish, add on some of the side dishes such as kimchi pancakes, ttuck bok ki (spicy rice cakes) and noodle soups. Then, you cook, eat, and repeat. 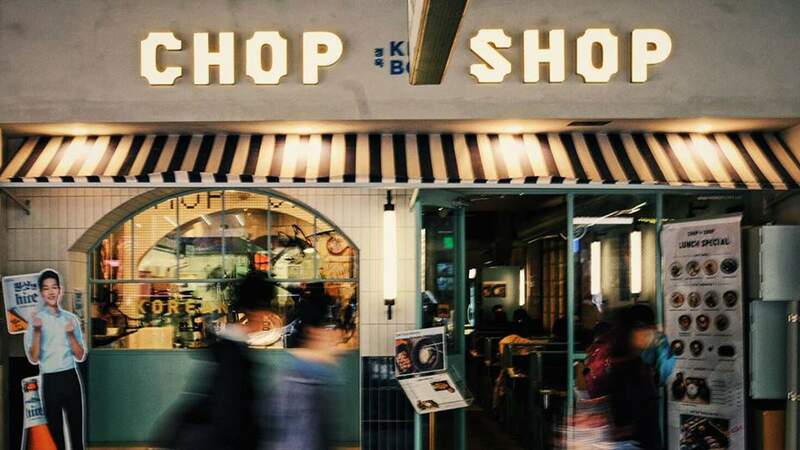 Chop Shop also has wintery slow-cooked Korean stews and sizzling noodles such as beef bulgogi and mushroom and assorted seafood, if you're not feeling brave enough to cook at your table. Even better, the restaurant is open until 11pm on weekends, so you can tackle your late night barbecue cravings with a side of peach soju.